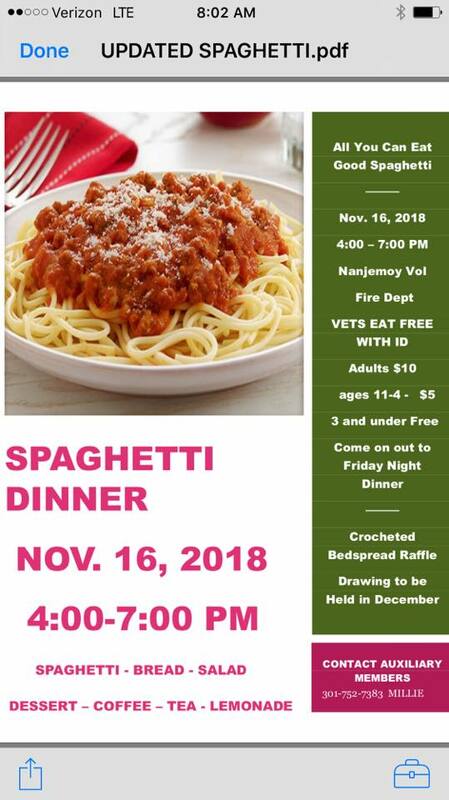 Come on out to the Nanjemoy Volunteer Fire Department located at 4260 Port Tobacco Rd. for a great time with friends and family. Spaghetti with meat sauce or without meat, Bread, Salad, Dessert, and Drinks.